Donald’s Empire may not be the best way to make mobile gaming great again (because it already is), but it’s still a nice time-killer if you’re looking for election-themed titles on the Play Store or App Store. 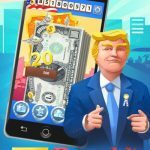 Of course, this game is inspired by Republican presidential nominee Donald Trump, and it’s an idle clicker game that allows you to rise from being a “regular American guy” to becoming a billionaire. The game also promises a chance for players to “change (their) destiny in developing the USA,” rising from strength to strength through all difficulty levels, swiping money along the way, and doing business deals with everyone from smaller ventures to the Mob. You can also invest in “American companies,” or should we say, tech giants like Apple and Google, and work closely with the White House. Unlike the real Donald Trump, we don’t have any plans of building a wall, or in this case, building a wall around your chances of success in this game. 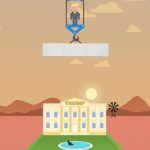 So having said that, let’s take you to our list of Donald’s Empire tips and tricks that could help make you great…in playing this game and earning billions of dollars. At first, you can buy upgrades and expect them to show up right away. But over time, the upgrades you buy won’t appear as soon as they used to, particularly in the vault, which allows you to earn money while you’re away from the game. So how do you expedite things so you don’t have to wait too long for your offline earnings to come in? We’d suggest using the time lapse cheat while it’s still supported by the game. Go to the settings of your iPhone or Android phone, set the time on your device ahead for however long it takes, then return to the game so you can collect your earnings without waiting. Keep on using the time lapse whenever you need to collect money ASAP, setting the time ahead by a few hours depending on how much you earn per hour and how much money your vault can hold. By time lapsing smartly in this game, you can double down on your earnings and then some. 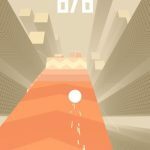 It can get tiring to swipe on your screen – it’s the game’s primary mechanic, and it’s a necessary evil, so to say. But you may find this a bit too fatiguing, and you may be thinking of an easier way to do things. How about turning your phone upside down and swiping downwards? For many players, it’s easier and faster to swipe downwards quickly, instead of swiping upwards. Your swipe speed is tied in to the value of your multiplier, and you can go as high as 5x for maintaining the top swipe speed for a significant amount of time. The ads in this game can be a bit intrusive, but you can work around this by switching your phone to airplane mode. Once you’re on airplane mode, you can turn off your screen lock or auto-sleep, and leave the game on while you’ve got your phone plugged into your charger. 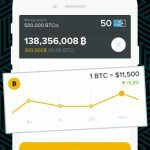 That will allow you to keep on earning cash for as long as you want; theoretically, you can leave your phone plugged in for several hours, and come back to the game with a ridiculous amount of cash. The game will offer you a chance to watch advertisement videos, which would give you a 2x multiplier for all in-game activities. The catch here is that the multiplier is only good for five minutes, so if you want to take advantage of this feature, you’ll need to watch ads repeatedly. That’s going to allow you to get a bonus that could keep you going for some time, but we do admit that this could get to be tedious, considering you’ll have to watch ads every five minutes or so if you want to have the 2x multiplier most of the time while you’re playing the game.